Last year I've started work on Bordspelmania.eu. And I've been slow - very, very slow - on anything related to boardgameawards. So I'll just stop for now. I hope to get all the information on BGA to Bordspelmania at some point. In Dutch, but hopefully in English as well. For now I recommend the boardgamegeek wiki. The winner of the à la carte (best card game) 2010 is Jaipur. 6. Himmel, A... und Zwirn! The 2010 Juego del Año (Spain) is announced: Fauna by Friedemann Friese. The Wiener Spiele Akademie awards one Spiel der Spiele and different Spiele-Hits annually. I know updates have been slow this year. I know now this site will not be able to keep up to date with all the new awarded games. I hope I can keep updating every once in a while and won't forget any new awards. My main goal is a list of as many boardgame awards as I can find. Second: to keep it updated. A lot of awards are not as clear as I thought. Or have websites in laguages I don't understand. I will try to keep everything as correct and complete as possible. The 2009 winner of the International Gamers Award - Historical Simulations is Unhappy King Charles! 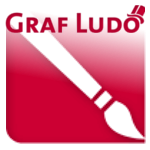 The Graf Ludo is an award for best graphics/art/presentation. It was first awarded in October 2009 and is initiated by FamilyGames, the Felsenweg Institut and the Leipziger Messe Modell-Hobby-Spiel. Mark Jackson made an extensive list of Children's Games and created The Kids Games 100. Kids games are often overlooked and therefor I think I should include his list on this site. Hüpf Hüpf Hurra!/Hop Hop Hurray! The list finshed in July 2009. More on this here and here. The 2009 Nederlandse Spellenprijs (The Netherlands) goes to Agricola. This year a record number of voters was registered. The winner of the 2009 DSP is Dominion.